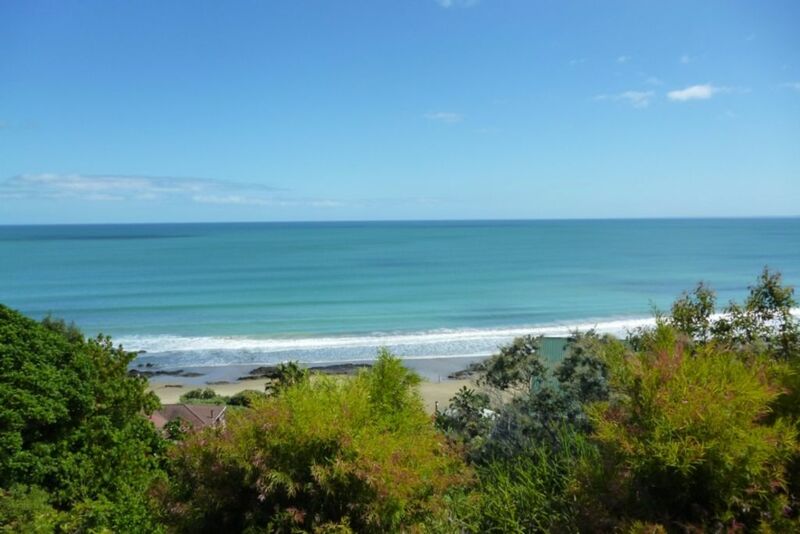 A secluded One bedroom fully furnished unit in Ahipara, Ninety Mile Beach. This is suitable for 2 people who may just want to rest and relax, or join in all the activities available. You may like to take surf board or kite surfing lessons, Go fishing along the miles of beach, Take horse riding or quad bike riding around the reef. You can play golf at the nearby 18 hole links course. Close by are restaurants, cafe, local dairy and groceries, liquor store, petrol station and takeaways. Safari adventures and.Bus tours to Cape Reinga can be arranged. Firstly, Richard & Henrietta were very warm & welcoming hosts. They didn’t hesitate to any of our requests & respected our privacy. We thank y’all for opening your home to share your paradise and hosting us with care during our stay. Moonrise’s at night were treasured memories for us and sunsets and sunrises! Such a special location so convenient to the beach with amazing views from the property. Worth it. Secondly, the property was beautiful. Clean, cosy, and an awesome getaway. We didn’t say goodbye as we knew we’d be back someday soon. A pleasure to have them here. The property is a very poor accommodation for the money we paid. A high price for such poorly furnished and musty premises. Upon arriving an odourizer spray could be smelled and the premises took on it's own smell as time went on. The bathroom has only one light near the center of the room, and nothing near the vanity to see in the mirror with. Wiping up some water and spillage in the bathroom and the kitchen area, the paper towels came out quite black and with previous visitors' hair attached. The main studio area is light via one large bare fluorescent bulb, and a sconce light on an outside wall opposite the bed. Only one bedside light worked, the pillows for sleeping could hardly be called pillows (old and bit of foam inside for cushioning), but the bed was 'fairly' reasonable to sleep on. The kitchen was very poorly equipped, few cheap utensils, minimum pieces of place-settings and pot/pans, a gas burner (a one burner and no gas connection) that I wouldn't be sure of safely working due to it's condition and a faucet sink that would not swivel (with the hot water connection hooked up so you had to turn the handle all the way around opposite the sink). The only windows that opened were near the kitchen, and therefore no air flow was happening interior in the premises (no fan was provided). This accommodation was underneath the owners' property and sounds travelled well later in the night, which we were woken up to the first night there. I'm sorry to say that I cannot recommend this property for anyone, especially at the price we paid and which they are asking for. Very poor investment on our part, and I since the dollars had already been paid, and no refund could be accessed, we 'bit the bullet' and stayed. The owners were very pleasant folks and helpful with information when we arrived, but that didn't make the stay more comfortable. Wow! this response is very disappointing. We will endevour to correct those areas where comments are accurate. It is disappointing that many of the matters raised were not mentioned at the time of our guests stay. Thoroughly enjoyed our 8 night stay, everything we needed was provided. Quiet location with stunning views. Short walk to everything, beaches, café etc. So nice to be somewhere so beautiful but away from the crowds. Will be back. Delightful couple. Left the unit in very tidy condition. Would be a pleasure to have them stay again.